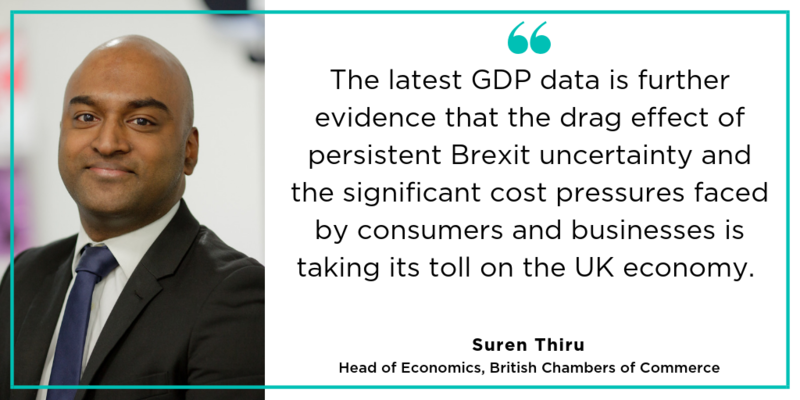 “The latest GDP data is further evidence that the drag effect of persistent Brexit uncertainty and the significant cost pressures faced by consumers and businesses is taking its toll on the UK economy. “The slowdown on the underlying three-month measure of GDP was largely driven by weaker service sector growth as car sales fell. That said, the service sector still made the largest contribution to overall economic activity, with manufacturing and construction adding little to overall UK growth. “The widening in the UK’s trade deficit is a concern and reflects a sharp rise in goods imports. Trading conditions for UK exporters are deteriorating amid moderating global growth and uncertainty over Brexit. Businesses continue to report that the persistent weakness in sterling is hurting as much as its helping, with the weakening currency raising input costs.